Hunger is something, nobody could resist. All revolutions were fueled by empty stomach. Early human beings used to eat whatever they found - cooked, half cooked or uncooked, quickly in their caves. But since they were our ancestors, there food habits still remain prevalent in certain parts of the world. Interestingly, weird foods that were consumed out of hunger have been classified as a delicacy now. If you look at it, it resembles an orange bar. 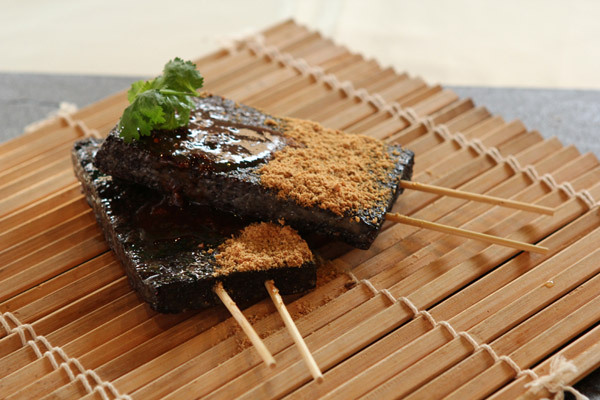 It is a celebrated street food delicacy served on sticks at stalls in Taiwan streets. The stuffing is made from pork blood, sticky rice and soy broth while the outer layer is a coat of peanut floor. The adventurous eaters call it the strangest food they have ever had. Shirako is a must have food on the Sea of Japan coast. 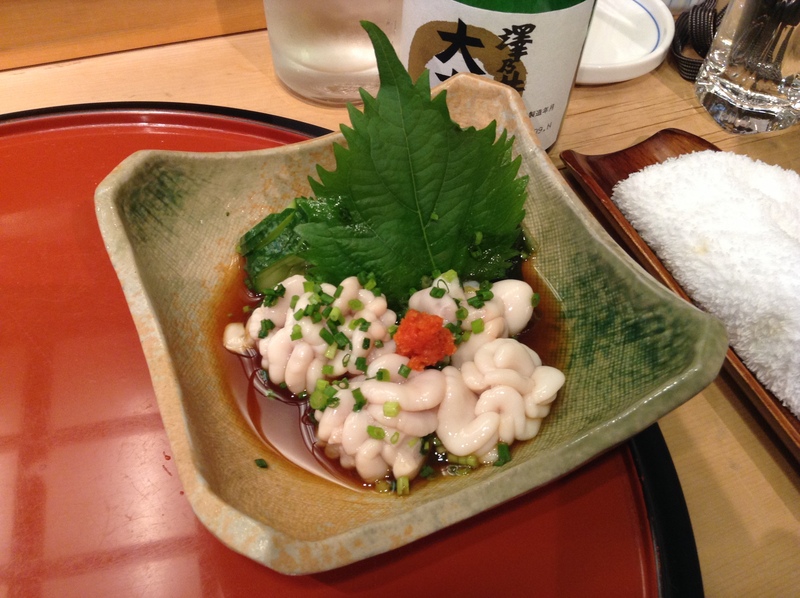 It appears as a soft, cluster-like white creamy blob and is actually a dish made from cod sperms. Prepared from sheep milk cheese, it is a rotten fermented eatable that contains live insect. While eating, the larvae (insects) jump out, often making way into your mouth. People prefer consuming this rotten cheese with the larvae in Italy. Being the most prominent dish in the country, it is a soup made out of boiled dog meat and veggies such as green onions. It is seasoned with traditional spices and loved for its nutritious value. However, the spicy Korean history has seen a lot of criticism for this weird food by people with a food taboo on dog meat. 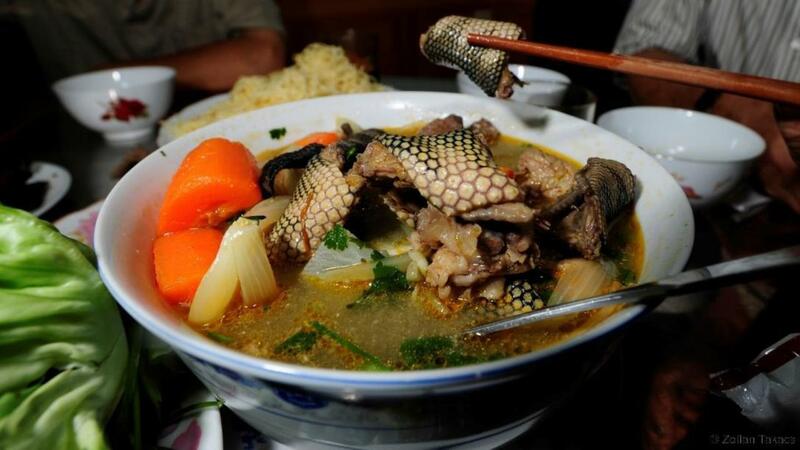 There are special snake meat restaurants in Nigeria that serve Snake Meat Pepper Soup. The fleshy snake is chosen by the people prior to making the soup, from a pool of living snakes. The preparation doesn't take much time and people began consuming this as an adaptability to food crisis in Nigeria. Now, imagine if you had all five of the aforesaid dishes on your dining table, you would definitely not have the courage to try any of these. 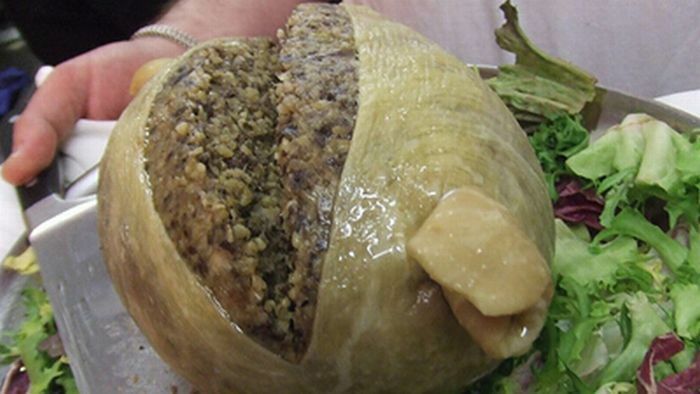 Well, it would be the worst nightmare if we were to relocate to these weird food places. Yet, it proves the reality hidden in the concept of man versus wild. Agar ye sab karte ho, toh zinda ho tum! From, the one who snatched your smile.